You know how in 'Die Hard 2: Die Harder' or 'Home Alone 2' or any sequel where the original film's structure is kept perfectly intact for the second outing, so all the returning characters have to openly and repeatedly acknowledge that they "can't believe this is all happening again?" Well, HDD Readers, it's mid-August, one of the hottest summers on record, and High-Def Digest just went to a party where some dead male model looking guy was floating in a pool. Last night, our friends over at Dolby and Paramount Home Entertainment hosted a party at the Hollywood Roosevelt Hotel's infamous Tropicana Bar in celebration of the August 16th (USA) Blu-ray release. 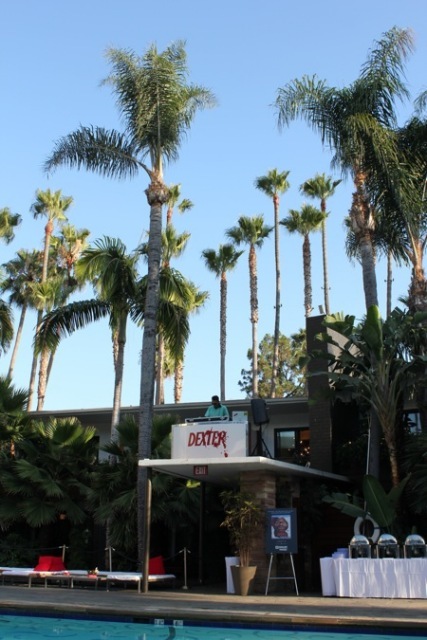 'Dexter: Season 5' will once again be sporting a sharp, detailed 1080p picture with a dynamic and involving and lossless 5.1 Dolby TrueHD surround sound audio track. 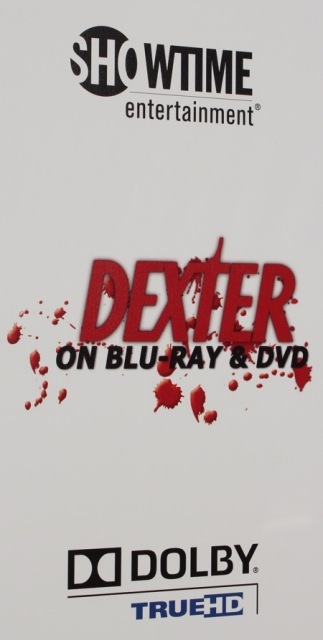 I personally haven't gotten to look over this year's Blu-ray, but if it's anything like last year's release, it's sure to be a Must Buy for Dexter fans and HD enthusiasts everywhere. To be clear, this is the type of "sequel" I hope will repeat itself as long as the 'Saw', 'Friday the 13th' or James Bond franchises. 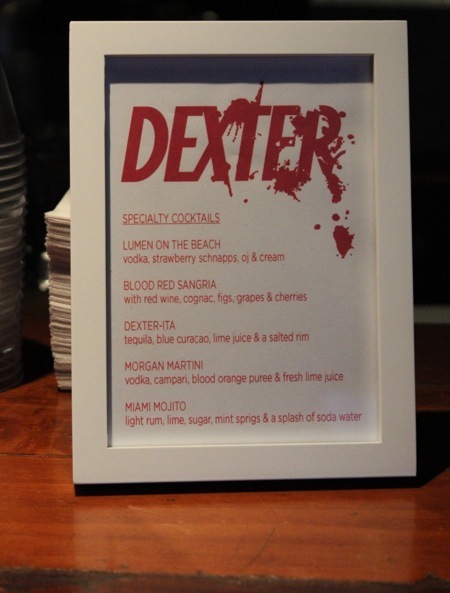 'Dexter' stars C.S. 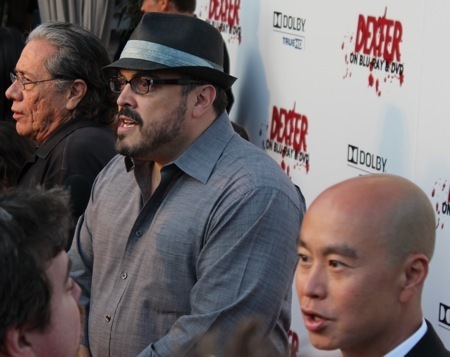 Lee (who plays Vince Masuka) and David Zayas (Angel Batista) were once again in attendance, as was James Remar (Dexter's father and spiritual guide, Harry Morgan). 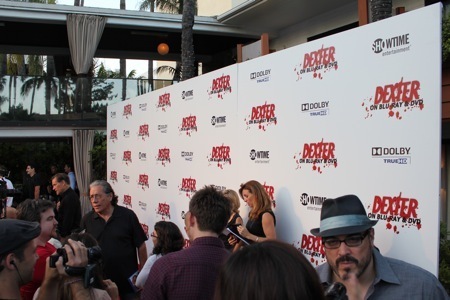 Edward James Olmos (of 'Battlestar Galactica') made s surprise appearance because he'll be joining 'Dexter: Season 6' with a recurring role as Professor Gellar, a charismatic teacher of religious studies. The question remains, will he be a hero or a villain? Find out this Fall. Pick up 'Dexter: Season 5' on Tuesday, August 16th (in the States; for our international readers, keep your eyes peeled) and look for 'Dexter: Season 6', which will feature at least four new season regulars and possible villains, starting Sunday, October 2nd on Showtime.